Four notes. The same four notes. Over and over again. David Gilmour kept playing these four notes at Abbey Road Studio in London in 1972 as Pink Floyd was preparing their follow-up the the massively successful Dark Side Of The Moon. There was something special about those four notes, something that crept into Roger Waters head and never let go, a kernel of an idea that eventually blossomed into what would become "Shine On You Crazy Diamond." 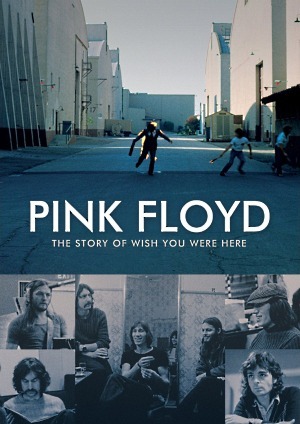 That song, a brooding homage to Floyd's tormented former singer and chief songwriter, Syd Barrett, would provide the bookends and thematic soul of what would become Wish You Were Here, and as the stellar documentary Pink Floyd: The Story Of Wish You Were Here shows, it was both a tribute to a lost friend and group therapy for a band struggling to come to terms with it's sudden, astonishing success. For fans of Pink Floyd, Pink Floyd: The Story Of Wish You Were Here (now available on DVD and Blu-ray) is a must-own. It explores in-depth the band at their most vulnerable: consciously distracted and disconnected from their audience. The emotions the band was feeling--frustration, disillusionment, pressure--took form in the songs that eventually made the album, creating a melancholic but defiant mood that was at once self-conscious and inescapable. Throughout the film, as the band and its inner circle reminisce about each song and their mindset at the time, your appreciation for the struggles of being an artist grows, and their music takes on added depth and poignancy. The recording of Wish You Were Here was haunted, both figuratively and literally, by Syd Barrett. Mentally unstable, Syd had left the band years earlier, becoming erratic and reclusive. A handsome and talented songwriter, he had been the fuel that had propelled Pink Floyd to its initial success, but his bandmates could only watch helplessly as he slowly spun out of control. Saddened by the loss of their friend, the band used Wish You Were Here to pen their love for him and rant against the recording industry they believed drove him to madness. Waters and Gilmour speak at length about the cynical view of the business portrayed in "Have A Cigar" and "Welcome To The Machine." They linger over the overtly biographical lyrics to "Shine On You Crazy Diamond," telling stories about how they invited Syd to the studio during the sessions to record but could never corral him long enough to put anything useful on tape. He would show up at the studio unannounced once more a year later--fat, bald, and unrecognizable to his friends--and the band today still seems visibly shaken by his transformation. Their recollections bring an unexpected earnestness to their stories, and paints a poignant, moody backdrop to the recording. The film itself is a masterful, well-paced account, obviously constructed by a director and crew who were both true fans of the album and keen filmmakers careful to remain respectful and objective. Archival footage of the band is interspersed with contemporary interviews with all the existing band members, as well as virtually everyone involved: sound engineers, critics, backup singers, album art designers, and even the stunt man in flames on the cover. Every angle is considered, every element explored, but all cogently assembled to give fans a rare and insightful view into the making of the classic. But it's the small moments and anecdotes that make this film such a treasure to fans. You see the famously bitter rivalry between Gilmour and Waters bubble just beneath the surface at times, but then you here the two talk about the recording of the song "Wish You Were Here" with such obvious love for the other's contribution--the delicate guitar play, the lyrics that Waters claims were "something real" that his "father would approve of"--that you can't help but long for their collaboration to renew. They play the original recording of "Have A Cigar," with Roger Waters's unconvincing singing of the lyrics, while Roy Harper tells of how he was brought in from the studio next door to sing the part that eventually appeared on the album. 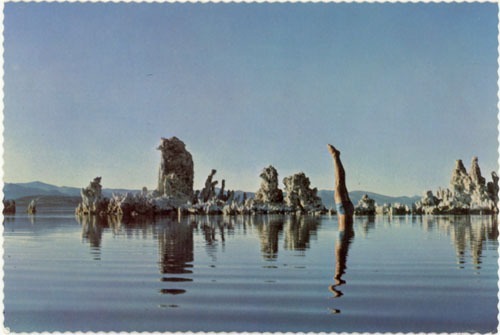 You get the story behind the striking, iconic postcard that came with the original LP from the man who actually shot it. There are so many great moments it's hard to pick a favorite, but there's almost certainly something that even the most fervent fans would find new and exciting. Spoiler Alert: He's not diving! He's doing yoga underwater! To many casual fans, Pink Floyd is defined by either the psychedelic masterpiece Dark Side Of The Moon or the descent into anarchy and madness of The Wall. A cottage poster industry is kept solvent by endless generations of college students festooning their dorm rooms with rainbow prisms and marching hammers. But as I've grown older, I've come to appreciate Wish You Were Here as Pink Floyd's true masterpiece. It's their most adult and cohesive album, ambitious and weary, a reflective journey that may lack the studio tricks of its better known siblings, but packs more emotional punch. Pink Floyd: The Story Of Wish You Were Here manages that rare feet of being both tribute and essential companion to the album, and any fan of classic or psychedelic rock will rightly cherish it.